Beauty is being recognized and marketed more and more to people of younger age, and as a result, teenage patients are one of the most common groups seeking rhinoplasty. 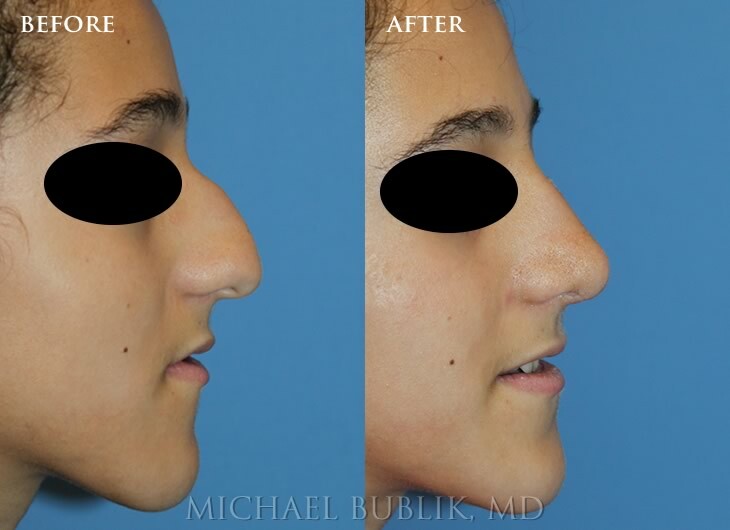 Rhinoplasty is one of the fastest growing surgeries in high school girls AND boys. 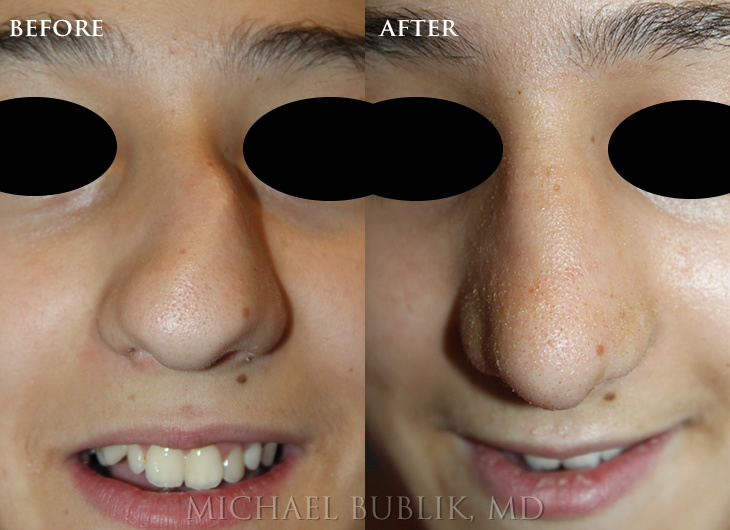 Dr. Bublik performs a significant proportion of his Rhinoplasty surgeries on teenagers as he realizes that any cosmetic disturbance in the appearance of the nose can have a significant impact on one’s self-image and confidence. Self-image and confidence is important as we grow into young adults. 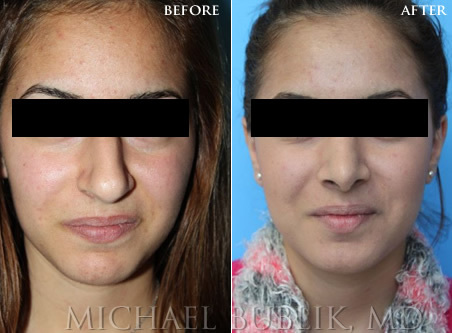 Rhinoplasty can lead to a very positive change for these patients, especially since they have healthy tissues and generally heal well after surgery. Clinical History: This is a 13 year old female who was born with a severely deviated septum, crooked nose and significant dorsal hump. She had a septoplasty and rhinoplasty ("nose job") and now has a naturally appearing nose and for the first time in her life can now breath through her nose. Many young patients also have severe nasal breathing issues which could lead to life-long issues and systemic complications, which Dr. Bublik makes sure to address during the surgery. He is an expert in treating the FUNCTIONAL (BREATHING) AND COSMETIC portions of the nose. 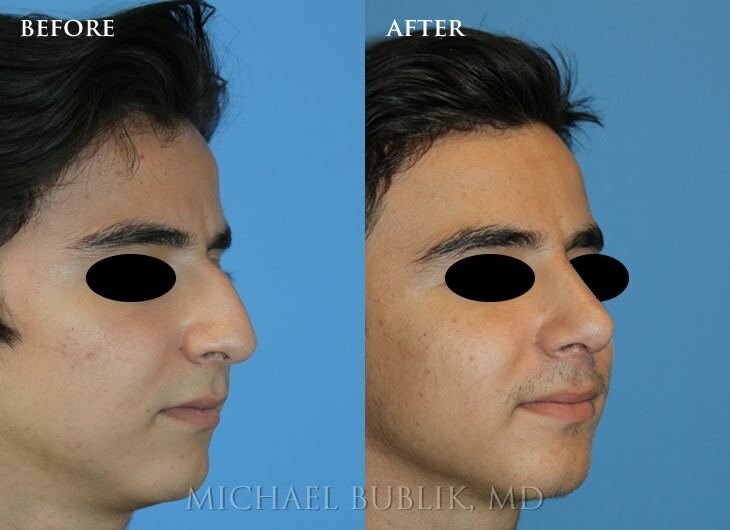 It is important for patients to understand that skeletal modifications to the nose, such as the removal of a dorsal hump, can create new problems that must be addressed during surgery. After all, a pretty nose that can’t breathe is not a desirable outcome. Rhinoplasty, especially in the young patient, must address both aspects with extreme accuracy and efficiency, while being conservative. 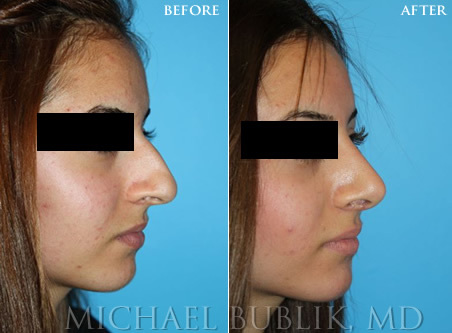 Dr. Bublik spent six years training in BOTH functional and cosmetic Rhinoplasty and therefore makes certain to give his Los Angeles / Glendale / Burbank / Beverly Hills teenage patients as stable a nose as possible and one that will endure for many decades to come. If the functional or breathing component is not addressed or ignored, then life-long breathing issues can result. 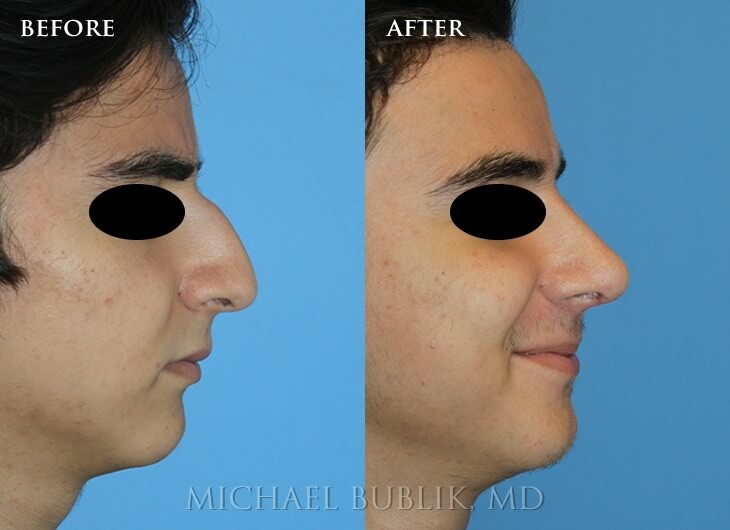 One of Dr. Bublik’s primary goals in teenage rhinoplasty is to be conservative and create a nasal structure that is much stronger than it was preoperatively, so that the nose remains stable over time. 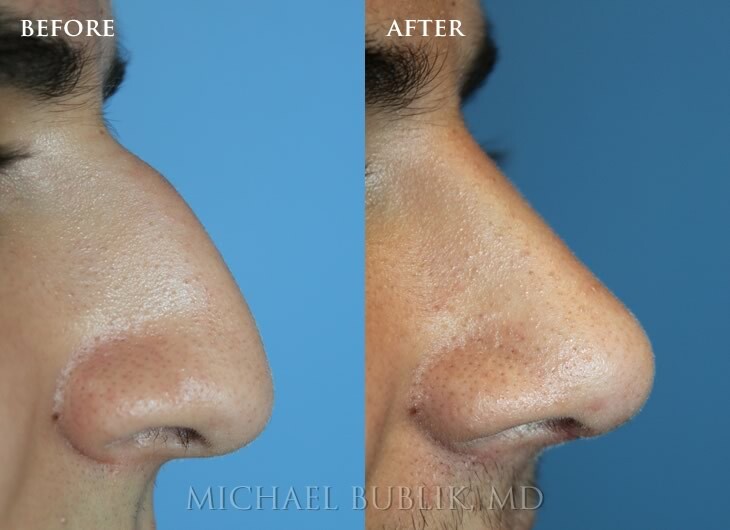 Dr. Bublik counsels his patients that healing after rhinoplasty will continue for many years, even if the changes that occur long after surgery are extremely subtle. 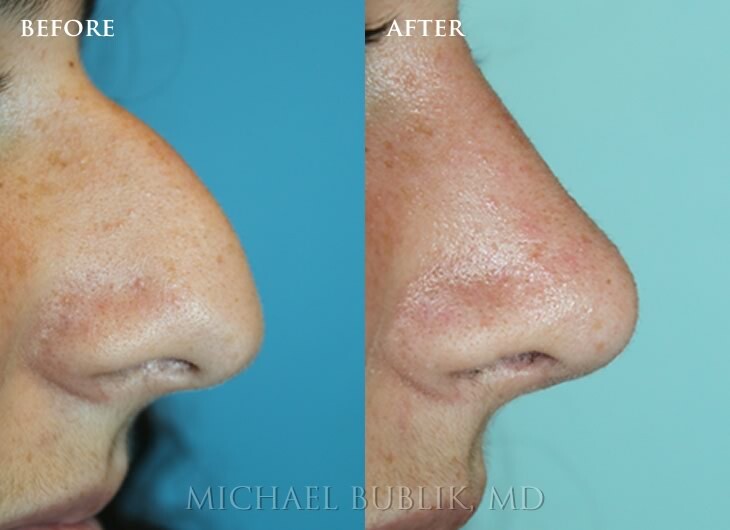 Dr. Bublik believes that every nose is different and that a ‘cookie-cutter’ approach to rhinoplasty leads to unpredictable results and an increased risk of aesthetic and functional complications. 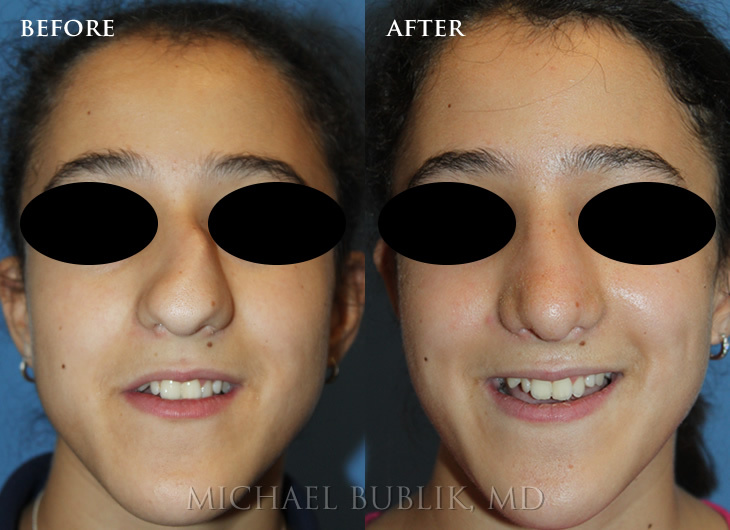 Dr. Bublik approaches each nose differently and devises a surgical plan according to the needs of each individual patient, especially in the teenage patient. Should Teen’s Get Nose Jobs?